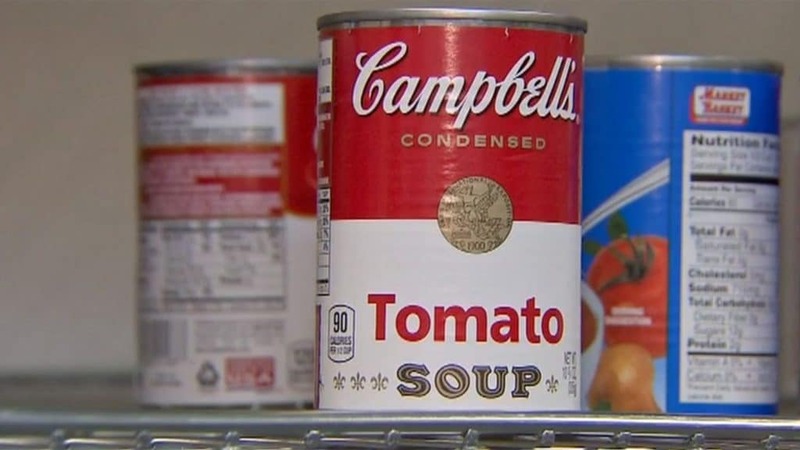 ‘Can we have our money back please?’ Massachusetts couple accidentally donate Campbell’s Tomato Soup can with $2500 hidden in it. Middleton couple accidentally donate $2500 Campbell’s Tomato Soup can. Pictured, Amanda Mattuchio. Middleton, Mass. couple accidentally donate $2500 Campbell’s Tomato Soup can. A daughter appeals on behalf of her retired parents. A Middleton, Massachusetts couple are singing the blues after having accidentally donated a fake Campbell’s Tomato soup can they’d use to hide thousands of dollars. 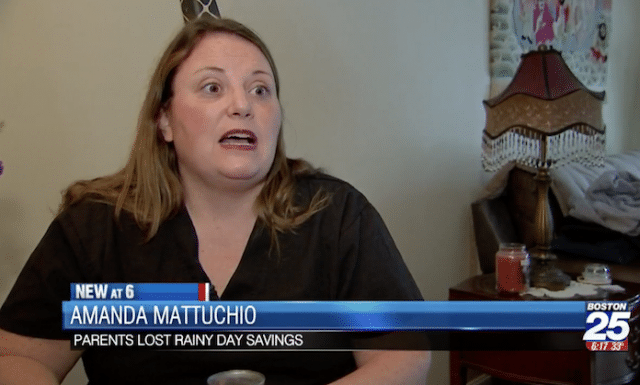 Speaking to Boston’s WFXT-TV, Amanda Mattuchio told of her parents having $2,500 in bills of $50 and $100 in the fake soup can tucked in their cabinet along with other real cans of soup. Her parents cleared out their cabinet after a neighbor asked if they wanted to donate canned goods to a local senior center. They noticed their money was missing weeks later. The donations ended up at the Middleton Food Pantry, which Frank Leary runs. He told the station the pantry receives hundreds of canned soups a week. Mattuchio is now urging anyone who went to the food pantry to check their cabinets. Of note, Amanda’s parents are retired and live on a fixed income. Middleton, Mass. couple accidentally donate $2500 Campbell’s Tomato Soup can. Middleton couple accidentally donate $2500 Campbell’s Tomato Soup can: Would you return the money if you found it? Middleton police have helped the family try to retrieve the can, and Leary said he’ll keep an eye out if the can shows up. Meanwhile, Mattuchio said if the can isn’t returned, she hopes the money would help whoever has it.